Multiple Authors • $11.95 • 10 articles • Item # VB 141 Get 10 of our best and most popular articles and presented so you can start your program now! 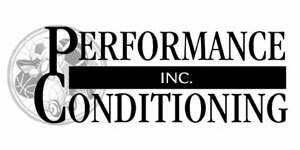 This kit focuses on The articles are divided into two areas –preconditioning and strength and conditioning which provides you with exercises, rationale and program design ideas to aid in establishing your prevention program.. Includes an index of each article and how you can use it to establish your program. Plus as a Bonus You Get- Coaching legend Al Scates favorite exercise to prevent injury and strengthen the shoulder. Injury prevention should be approached in a holistic manner. The following insta-kit focuses on the shoulder area and should be considered as part of this holistic approach concept. Presented are proper strength training and conditioning methods in the development of proper joint/muscle integrity and the use of a pre-conditioning/screening to insure that proper body alignment and mechanics exist before a strength training program is introduced. If the body is not properly in balance and aligned, then strength exercises could be performed in contorted fashion, which adds to injury potential rather than prevention. The articles are divided into two areas –preconditioning and strength and conditioning which provides you with exercises, rationale and program design ideas to aid in establishing your prevention program. Get started today! Index Article #1 Shoulder Pain and Injury in Volleyball Dr. Jonathan Reeser, Ph.D., MD former chair of USA Volleyball’s Sports Medicine and Performance Commission presents an overview of shoulder pain and injury to help you gain insight into the problem. Preconditioning Article #2 Core Instability in Volleyball Players This article explores the instability of the core which predisposes athletes not only to back pain, but to knee, hip, and shoulder as well. Present are practical exercises. Articles #3 and #4 Postural Priorities-Rib Cage Influences on the Volleyball Player’s Shoulder and Postural Priorities-Rib Cage Influences on Volleyball Attacking Mechanics These articles build on core stability and address volleyball specific shoulder situations. 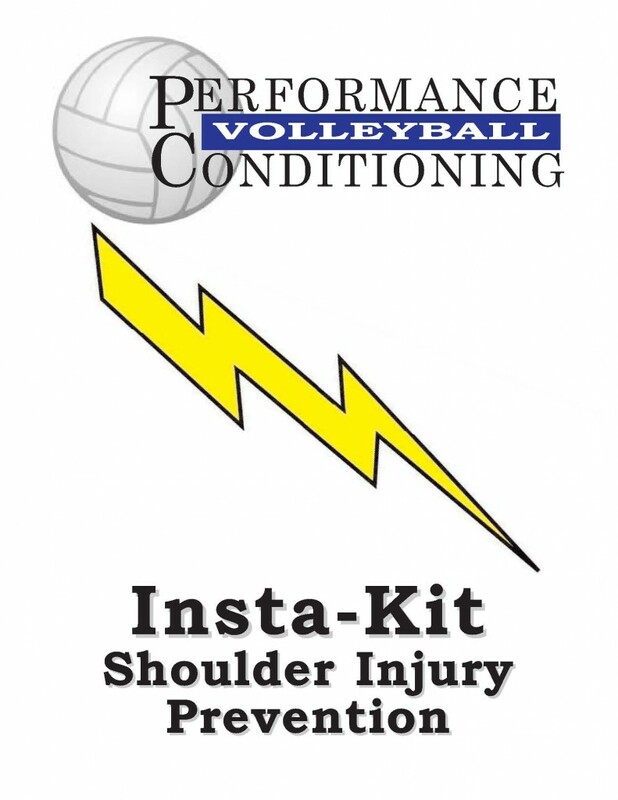 Injury Prevention Strength and Conditioning Article #5 Remedial Exercises for the Prevention of Shoulder Injuries in Volleyball This article transitions from preconditioning to strength and conditioning exercises by integrating the core with the shoulder. Article #6 Position, Balance and Upper Body Counter movements-How to Prevent Overuse Shoulder Injury in Volleyball Article #7 Maintaining Normal Shoulder Muscle Balance During Repetitious Overhead Volleyball Training Article #8 Injury Prevention Training for Young Volleyball Players and the Role of Isolated Vs. Integrated Exercise Selection This article establishes rationale behind designing an exercise program to prevent injuries. Article #9 Three Step Progressive Shoulder Injury Prevention Training-1 A comprehensive shoulder injury prevention program based on progression presented in two parts. Article #10 Three Step Progressive Shoulder Injury Prevention Training-2 Bonus Feature: Cuban Press - Shoulder Strengthening Exercise- Coaching legend Al Scates presents his favorite exercise to prevent injury and strengthen the shoulder.